Hey y’all! So the tour is over and while we still have the “&” video to look forward to, I’m not aware of any future plans for the band and neither are you. This has caused much speculation about the future of Tally Hall and if they’re breaking up, etc. It’s true that Zubin and Ross are going back to school and Andrew appears to be embarking on some sort of solo project, but this does not mean the end of the Tally Hall. If anything, this is the start of a hiatus; a much needed hiatus. 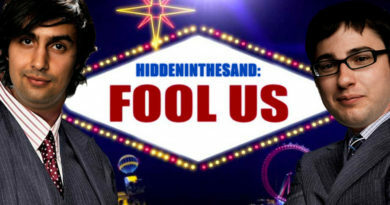 By the way… nothing I write here is official news. In fact, the point I’d like to make here is that Tally Hall is not broken up until they say they’re broken up. So sit back, relax, enjoy Good & Evil, and do everything you can to help spread the word and request your local stations to play songs from the new album. Because I’m pretty sure that if they are indeed taking a hiatus, the length of it would probably be cut short if the band’s popularity sky-rockets. I posted a video of the adventures a bunch of fans and I had at the final show of the Good & Evil tour. We called it TALLYCON 2011. 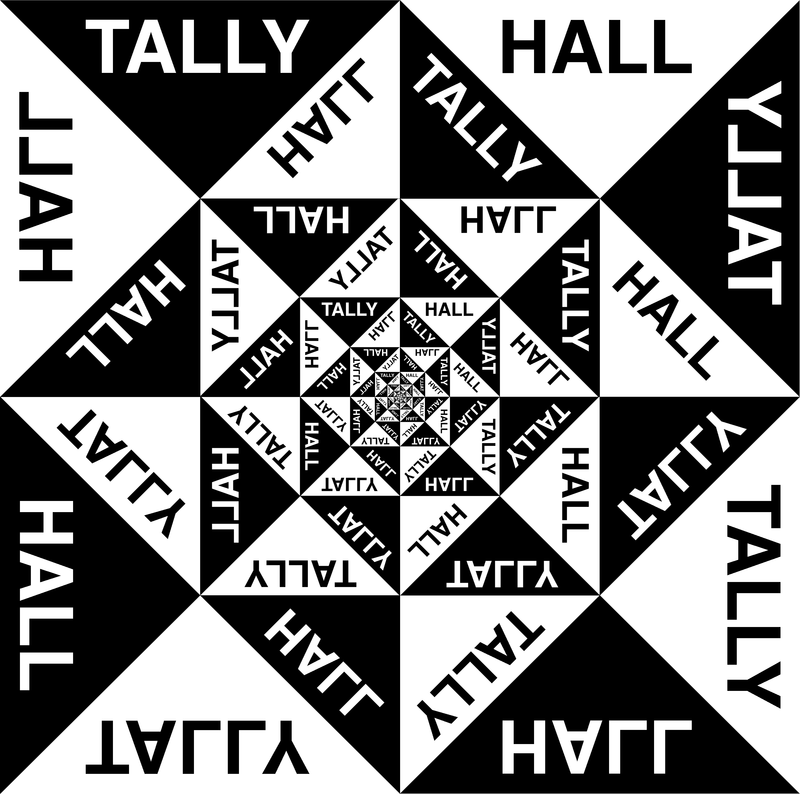 In it, I referred to the fans as “Tally Hall Monitors” which was a term some of you had never heard before, even though I coined it back in 2005. 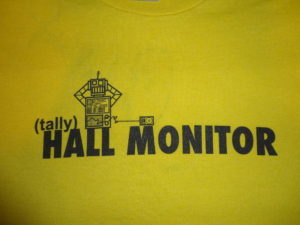 In 2006, an official “Hall Monitor” shirt was made by Quack! as a limited edition for street-teamers who helped promote the band during an April 2006 tour. It got me thinking about making a new, unofficial Hall Monitor shirt. But seeing as HITS is a community effort and not that of just one man, I thought I’d give you all the opportunity to come up with some designs! I may not decide to go with anyone’s suggested idea, so I’m not really calling this a contest. Just a call for help. It doesn’t have to be anything print-worthy, just give me at least a rough sketch that I can go by and I will re-interpret it full-scale. If I end up using your idea, I will make sure you get one for free. For everyone else, they’ll be available in the HITS Schwag Shop as soon as possible. Please make sure it does NOT include the Tally Hall logo or the image of any band member. This is unofficial merchandise and their image/logo is not licensed to me. I’ll give ya a week to send me whatever ideas you got! Email them to me, please. UPDATE: I haven’t gotten much response to this, which is OK, but literally everyone who’s sent in ideas so far has had the same idea. 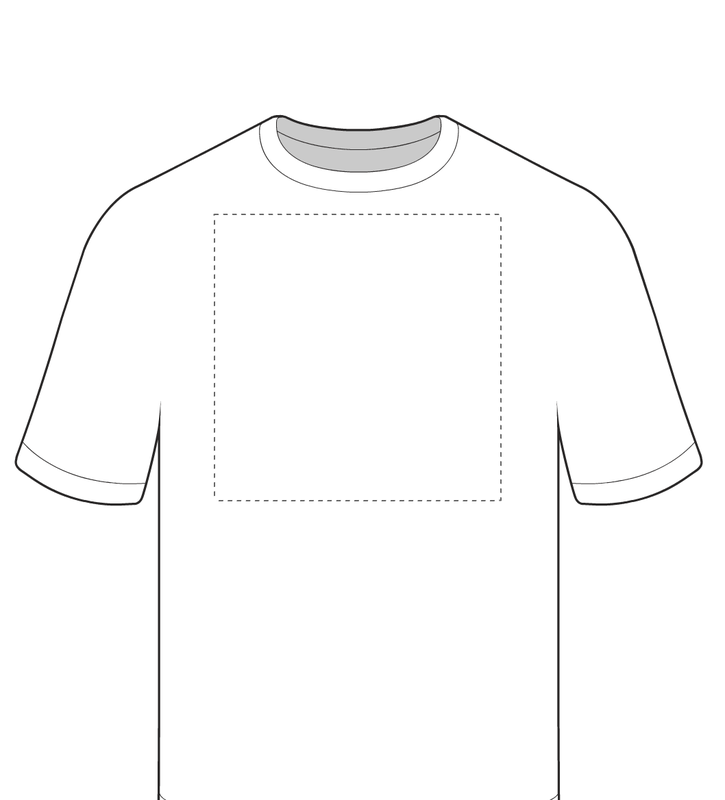 A design to look like one is wearing a “hall monitor sash” diagonally from the shoulder to the waist. 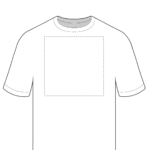 I should have mentioned before that, since these are going to be made available through CafePress, the printable area on the shirts is only in the chest region. So, if you’re still planning on sending me ideas, keep that in mind. Thanks. Is this the real cover art for Good & Evil?